Use this guide to set up a traditional broadsheet for printing. Read our traditional printing guide for essential information before designing your newspaper, and the glossary for an explanation of any unfamiliar words. Download a template to get started. 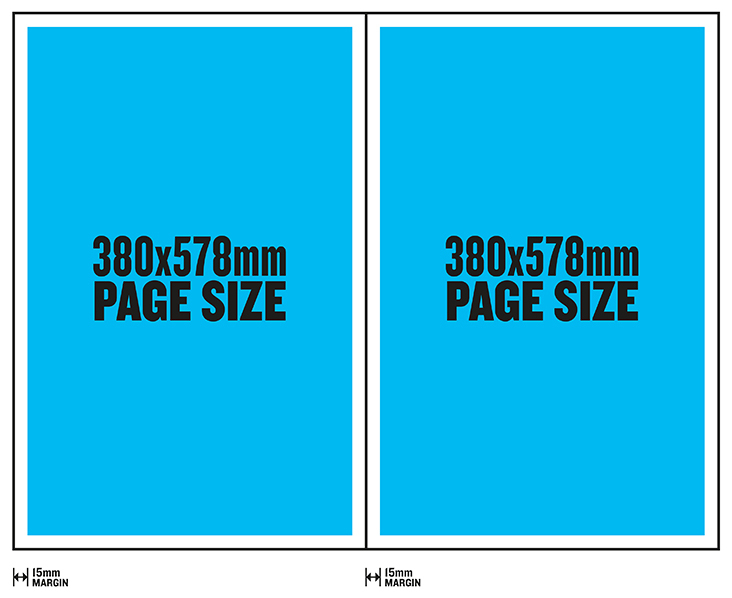 Set up your document to the size of one page - width 380mm x height 578mm. Leave a 15mm margin at the top, bottom, inside and outside edge of each page. It is not possible to print a full double-page spread on a traditional broadsheet. Traditional broadsheets can be a minimum of 2 pages, and a maximum of 24 pages. Pages must be in multiples of 2. Find out more about pages, spreads and sheets. Read our traditional printing guide for essential information on colour, and the glossary for an explanation of any unfamiliar terms. Colours can be CMYK or greyscale. Do not use RGB or spot colours. Black and white photos and artwork should be set to print greyscale. Colour profiles - You can use any generic CMYK colour profile. We will manage colour before printing, to reduce ink coverage to an acceptable level for newsprint. We recommend you set your image resolution between 150dpi and 300dpi. The smallest font size we recommend is 8pt, although some fonts may print well at smaller sizes. Export your PDF as single pages, in reading order, with no crop marks or bleed added. See our export guide for full instructions.